Building constructed more than a year ago. Town under pressure with over 22% of empty commercial spaces. The IDA is still seeking investors for an advanced factory premises constructed in Castlebar more than a year ago. Minister for Business, Enterprise and Innovation Heather Humphreys has confirmed there were two site visits to Mayo in the first quarter of 2018 but did not say if either of the visits were to the long vacant IDA building. The IDA, she added, is “working hard” to create further employment opportunities in the county. 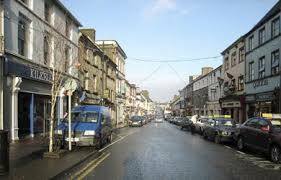 Castlebar recorded over 22% of empty commercial premises in the second quarter of 2017.